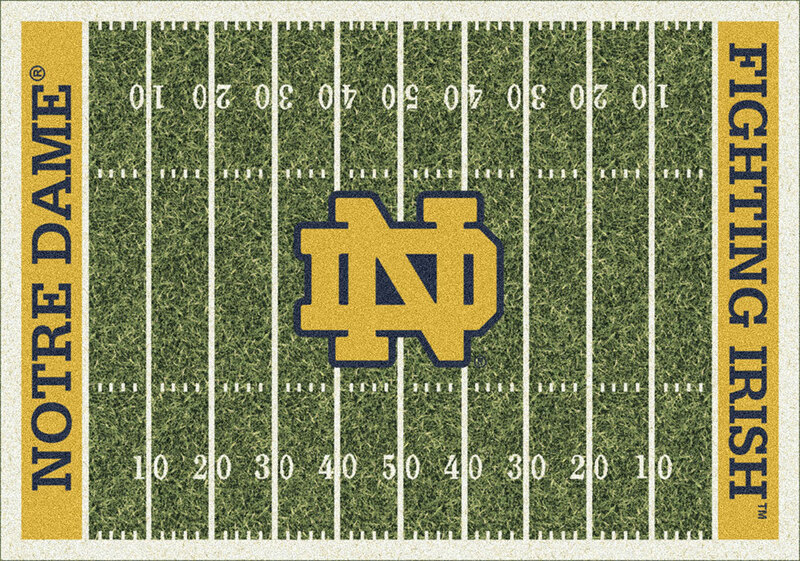 College Team Home Field Rugs feature over 80 favorite NCAA football team carpets,printed with grass field theme and college colors. Made in USA on advanced Millitron machine, the colors are vibrant and live.Made out of durable Nylon, these rugs would hold up well to high traffic and make cleaning easy. This would be a perfect gift for a fan, alumni or a college student. These rugs are custom printed to order in the USA. Per our return policy custom made products are NOT returnable. Please allow 7-10 days for shipping.